Honda Racing’s Dan Linfoot returned to the podium this afternoon, after placing his Honda CBR1000RR Fireblade third in the second MCE British Superbike Championship race during the penultimate round at Silverstone. After a solid result in race one finishing seventh, Linfoot started the final race from second place on the grid and was one of the front-runners from the early stages. An electrifying race unfolded with the Honda rider involved in battles with his fellow Showdown rivals Shane Byrne, James Ellison and Michael Laverty. In the closing stages of the race the 27-year-old was pushing hard for the second place spot and initially held the edge over a charging Laverty. The penultimate lap saw the pair trade positions three times in as many corners, but Laverty edged ahead and Linfoot crossed the line in a well-fought third place. Linfoot now sits fifth in the championship standings with 534 points. 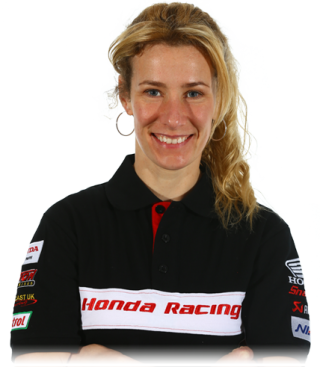 Meanwhile Jenny Tinmouth enjoyed two top-25 finishes on her CBR machine in 23rd and 25th places. In race one the Cheshire-based rider struggled to find pace, but race two saw the 36-year-old improve her lap times by 0.9seconds. 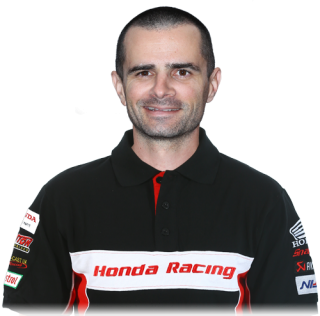 Honda’s third rider Julien Da Costa came home 17th in the first outing after struggling with arm pump over the 14-laps. In race two after starting from 20th place, the Frenchman made his way up the pack and crossed the line 15th. 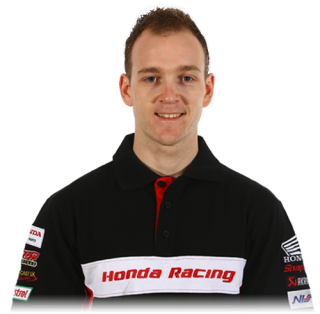 Linfoot’s return to the podium is a welcome result for the Honda team, who confidently now head to Brands Hatch in two-weeks time (16-18 October) for the closing round of the championship. 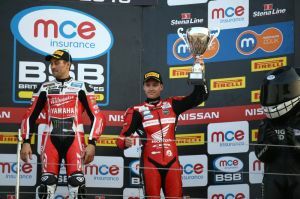 "I’m happy to be back on the podium, it feels a long time since Oulton Park! Obviously after the disaster at Assen I came here with a big desire to give 100% and the aim to walk away with some more podiums, which we achieved today. The big key is to be able to start the race near the front, which is an area I now need to work on going to the final round. A great job and well done to my team Ian, Ben and Calum the Fireblade worked well and I enjoyed riding it today. I’m looking forward to Brands now and three more opportunities for another podium finish." "Race one was OK, I made a good start but unfortunately made a few mistakes and lost out to the group so it was a bit of a lonely race for me. But I was able to practice some of the things I need to work on in the future and managed consistent lap times. It was the same again for race two, I had a good start and managed to stick closer with the group in front of me, which improved my lap times. During the race I was able to practice again the things I need to learn to do. Both the results are not where I wanted to be, but it’s progress and am looking forward to Brands and taking what I’ve learnt this weekend there." "During race one I really struggled with arm pump and after the race I saw our physio who works with the Honda Endurance Racing team, who strapped up my arm and for race two I had no issues with it. I started the second race from 20th and had good battles with Josh Walters, Ryuichi Kiyonari and managed to catch Danny Buchan. I was concentrating so much to pass and make up positions I didn’t see my pit board for a couple of laps, so was unsure of the time for a while! 15th place was a little disappointing for me as I love Silverstone, but I was quicker than race one so happy enough with that. Well done to Dan on his podium and a huge thanks to the team for giving me the chance to help with the Fireblade development again." "I’m so pleased and happy for Dan’s result today, it’s great to see all the hard work paying off and see the results we all know and believe he’s capable of. It’s a great finish for the team and gives some confidence as we go to the final round in a few weeks time. We have something to build on now and just need to keep that momentum and focus. For Jenny I know that she’s not happy with her results and where she finished, but she’s always improving and building her confidence on the CBR. We have some direction now and know where we can improve heading to Brands. Huge thanks to Julien for coming this weekend also, it was a tough, fast race and different to what he’s used to in the Endurance World Championship. 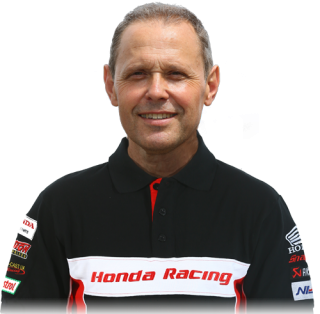 But he’s played a vital role helping with the continued development with the Fireblade and testing a new engine spec this weekend."